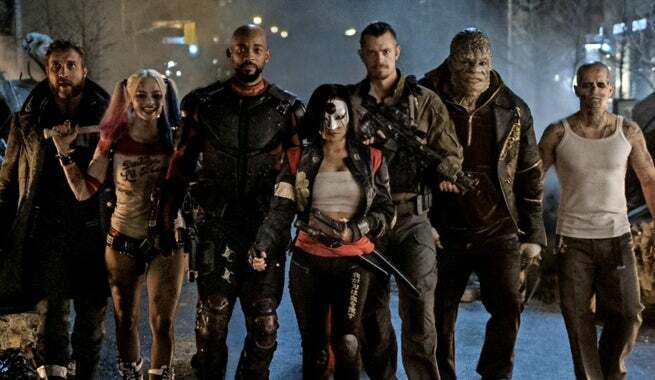 You can’t have a blockbuster film without a crazy music video to go alongside it, and Warner Bros. and DC Comic’s Suicide Squad is no different. They didn’t spare any expense either, as they decided to call not just one artist but four high-profile musicians to come together for a new song called Sucker For Pain. The song includes Lil Wayne, Wiz Khalifa, Imagine Dragons, Ty Dolla $ign, Logic, and the X Ambassadors, and the studio has just released a behind the scenes look at the making of the video. Fitting with the Suicide Squad theme, the video takes place in surroundings that give the feel of an insane asylum, with each artist going through their own sort of twisted pain. "Basically, we're all succumbing to pain in some twisted way" Dan Reynolds describes, "and mine is kind of like this tornado of bullets and you see the story as it unravels, and uh see how I succumb to my fate." As for Logic, he was initially cautious of his surroundings. "When I saw I was going to be in this like Insane Asylum, like this padded room, I didn't necessarily know how that was going to go, because I don't want to be jumping off walls and stuff, that's not really my character, but Elliot the Director, he was like naw don't worry about it, its going to be cool you don't have to do anything crazy, so it was really awesome." Amidst the various artists clips from the film can be seen, and the song nicely fits into the world of Suicide Squad. The full soundtrack will be available day and date with the film when it releases on August 5th.